Key City of Austin initiatives include Imagine Austin, Quality of Life, Sustainability and community outreach. Imagine Austin is our plan for the future. Fueled by ideas and contributions from the Austin community, this 30-year plan for the city is based on Austin’s greatest asset: its people. 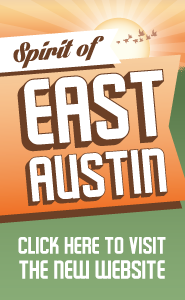 Navigate this website to learn more about the plan’s vision, actions your local government is taking to implement the plan, and how you can be a part of creating a more vibrant, livable, connected Austin. Learn more. 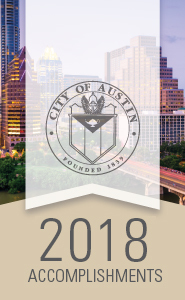 In February 2016, City Council requested that the Office of the City Auditor identify factors, as well as City programs and initiatives that affect affordability for Austin residents.The Office of the City Auditor created a special report including an inventory of City programs and initiatives that affect affordability and a list of affordability-related literature. See the affordability programs. On Aug. 9, 2018, the Austin City Council directed the City Manager to develop and propose a new process leading to a Land Development Code. On March 15, 2019, City Manager Cronk requested policy direction from the Austin City Council. Council is utilizing the Council Message Board to begin their policy discussion. The City Manager and the Executive team have committed to a vision of making Austin the most livable and best-managed city in the country. In support of that resolve, the Management Fellowship Program will recruit nationally to bring the country’s top candidates to Austin. Learn More. We advance local sustainability and climate action by providing leadership and coordination for initiatives across the City organization and the Austin community. Learn more. Quality of Life initiatives involves evaluation and community engagement, with the goal of improving conditions for Austin's African-American, Asian and Hispanic populations. Learn more. The Traffic Congestion Action Plan outlines immediate and long-term steps to help alleviate traffic issues throughout the city. Learn more.